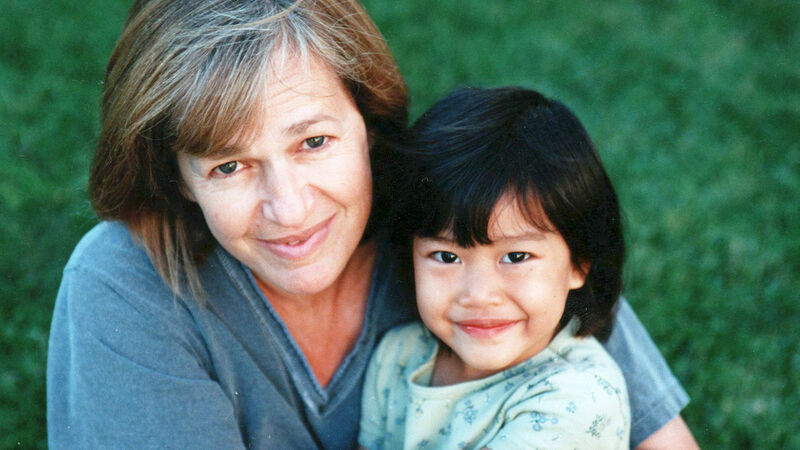 Meet OneSky’s “Kids at Heart” Foster Parents! 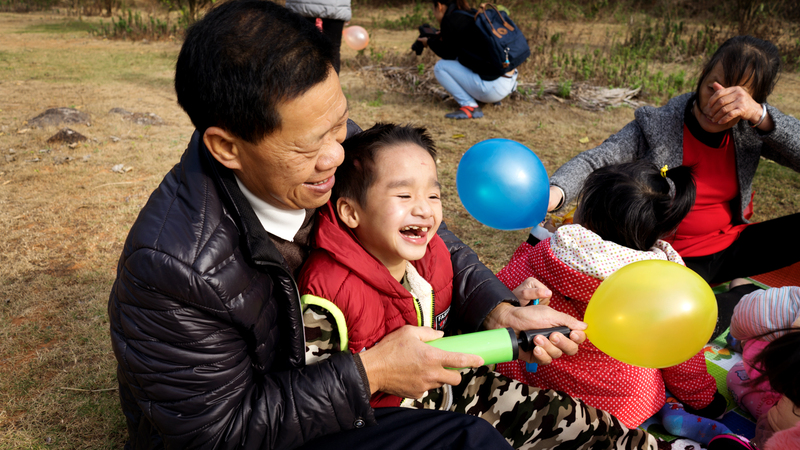 Family mentor Zeng Feiling was skeptical when Huang Yasheng applied to be a stay-at-home dad for OneSky’s Loving Families Program. 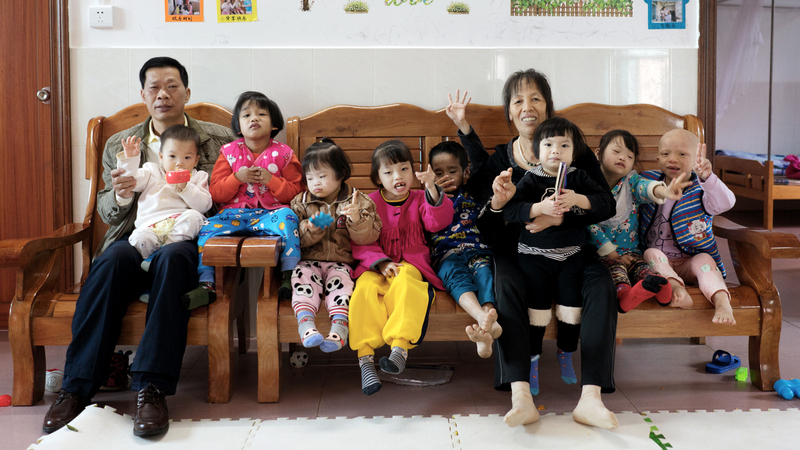 Huang Yasheng, who was working full-time as a carpenter, and his wife Zeng Lanjuan, who was working at home full-time, were doing a wonderful job as foster parents for four children with special needs. But employing two stay-at-home parents would mean adding four more children with special needs to the family. 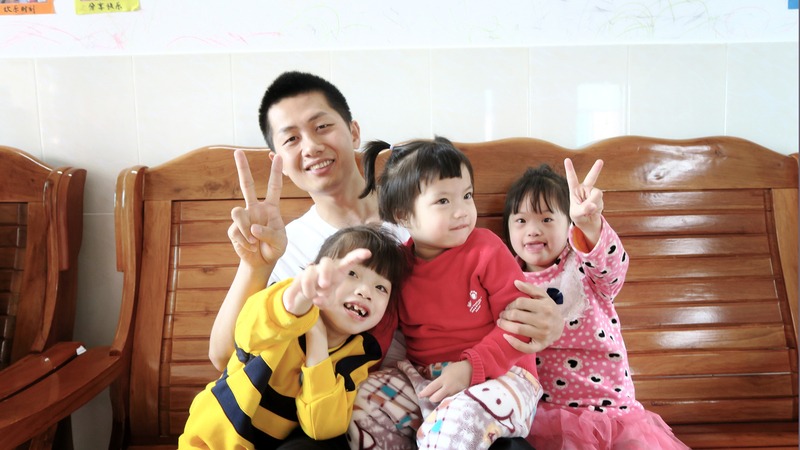 Though he is a fun dad, Huang Yasheng also helps keep order in what could easily become a chaotic household. 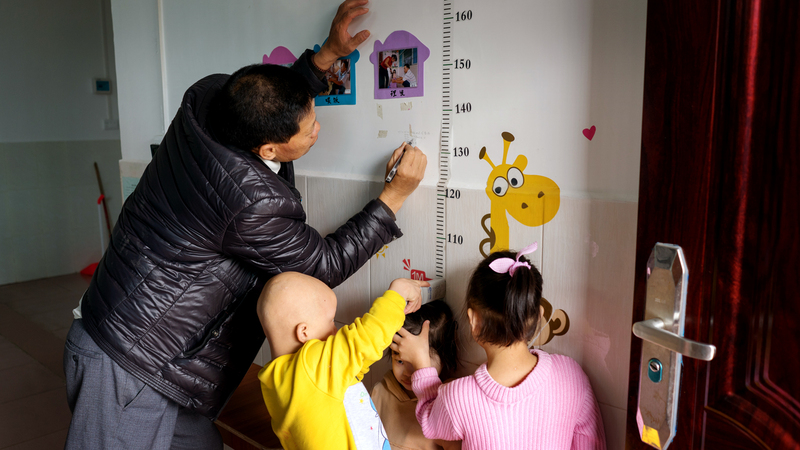 For example, Huxin, Huang Yasheng’s eight-year-old son, who has serious mental disabilities, was impervious to his dad’s order that he needed to go to bed. Then Huang Yasheng came up with an idea: when it’s time for bed, he pretends to snore, signaling that it’s bedtime. Gradually Huxin got used to that signal and he was never late going to bed. 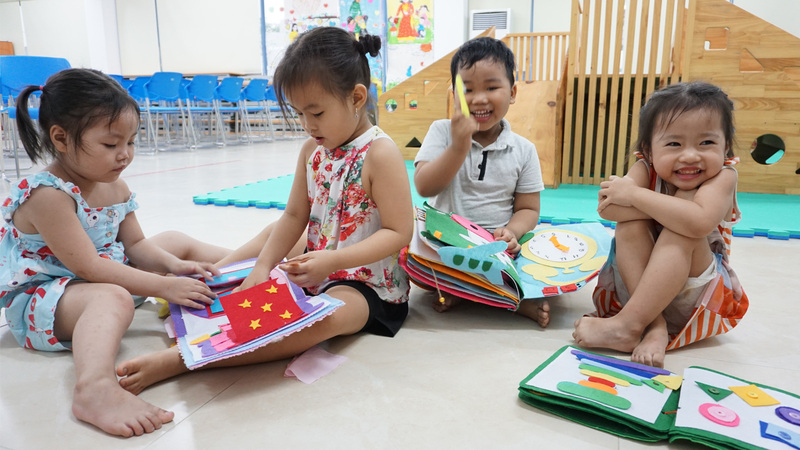 “Sometimes we just need some strategies to reason with mischievous children,” says Huang Yasheng. 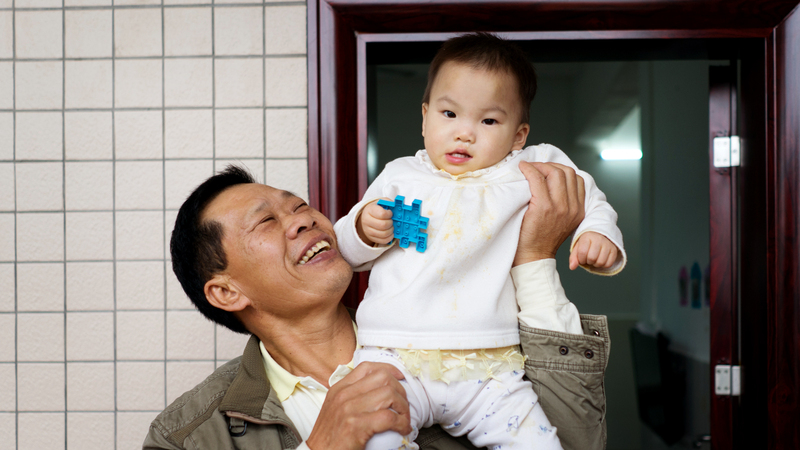 Huang Yasheng thinks he inherited his affection for children from his father, who was always warm and inspiring, despite the challenges of raising a family in poverty. 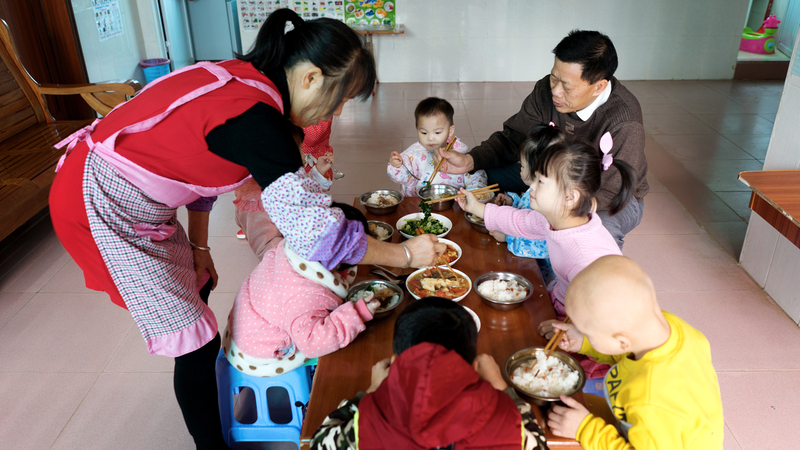 At mealtimes with his five brothers and sisters, “If I tried to reach for more food, my mother used chopsticks to hit my hands.” When he turned ten, Huang Yasheng’s dad told him he had to quit going to school so he could take on the job of running the household—he cooked, cut firewood, carried well water and herded the cows indefatigably. 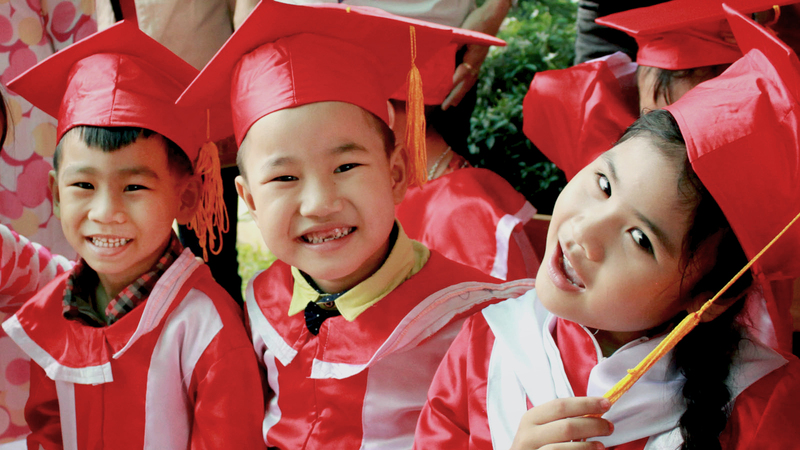 At 14, Huang Yasheng was able to go back to primary school, but dropped out once and for all after graduating from junior high school. 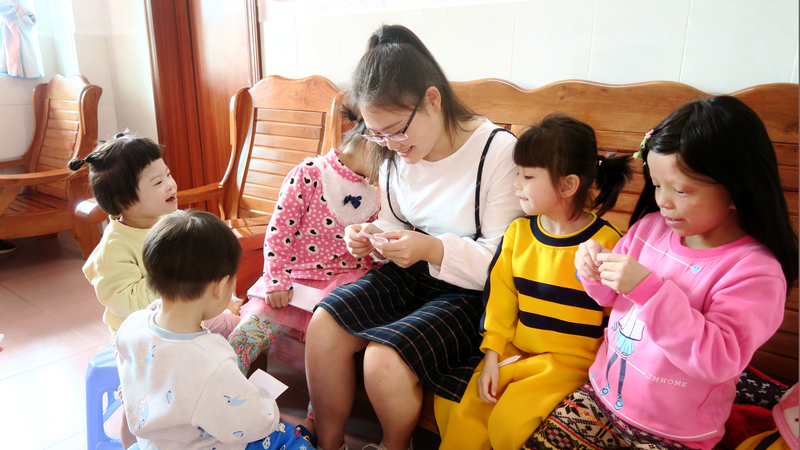 Now that she has so much help from her husband, Zeng Lanjuan’s job as a stay-at-home mom has more time to enjoy all her children. Zeng Lanjuan has learned she can depend on her husband when she is stymied. 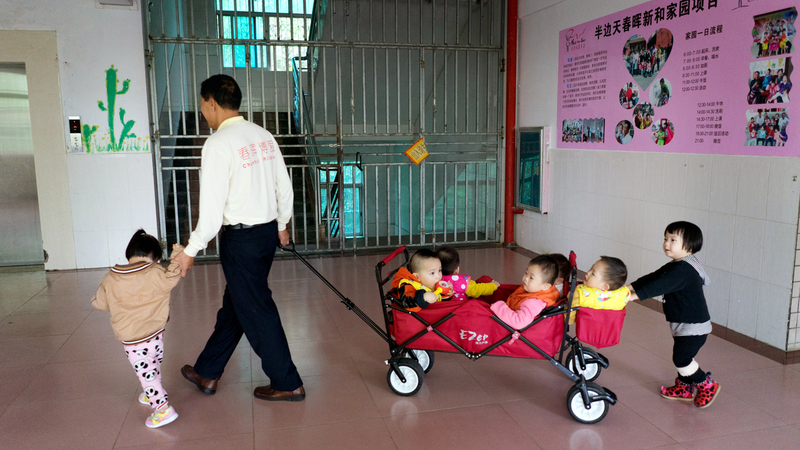 For example, 14-month-old Jiajia, their youngest child, had been crying intensely for over a week. Both parents were worried and seldom slept through the night. They were even starting to think that Jiajia was more than they could handle. 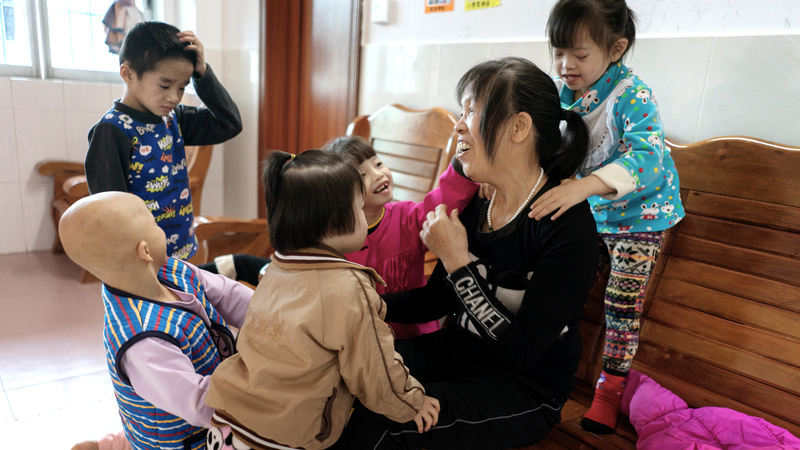 They tried every means to calm Jiajia down, including cuddling her constantly, but nothing worked. Then they noticed that Jiajia had developed a special bond with her dad, so he took on the task of lulling her to sleep. Soon she was falling quickly into a serene sleep and waking up in the morning the same time her dad wakes up. The bond is mutual. Huang Yasheng feels his life is complete when Jiajia calls him dad. Now that the couple works so closely together, they have developed a closer rapport than they had when Huang Yasheng spent long days at work. They do not divide their work rigidly and hardly ever have any disagreements about who should do what, often preferring to take turns. 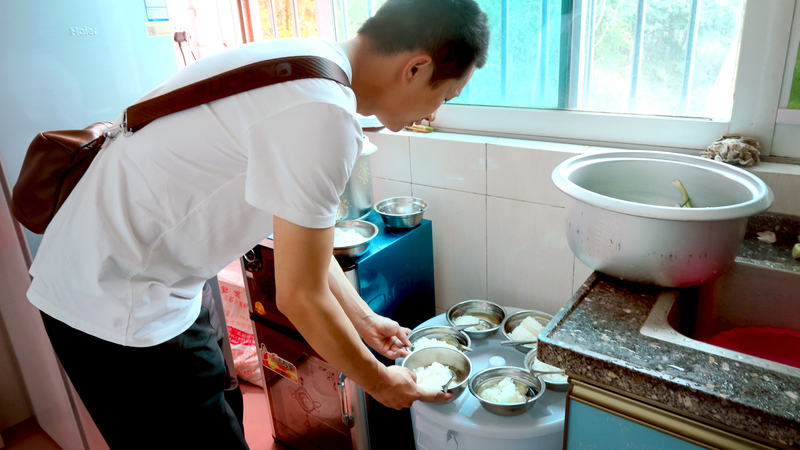 For example, Huang Yasheng and Zeng Lanjuan take turns making breakfast every morning. Because Huang Yasheng doesn’t need much sleep, when it’s his turn, he gets up before everyone else so he can prepare the breakfast before the family’s 5 am wakeup time. Then it takes almost an hour to wake all the children and dress, clean and feed them. 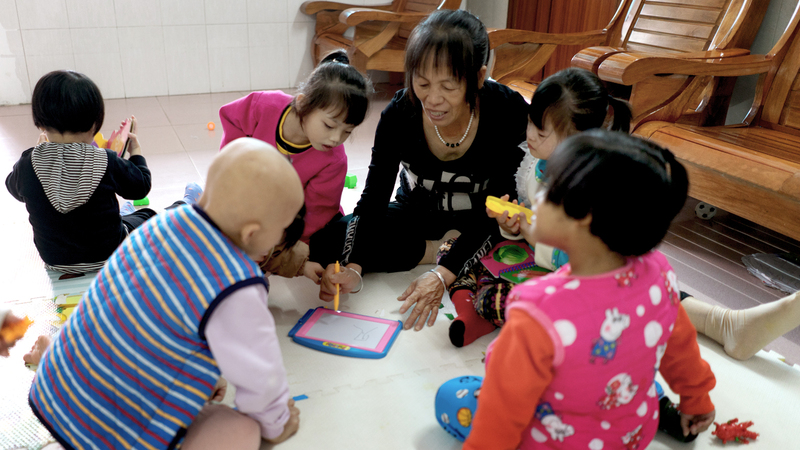 Zeng Lanjuan ties the four oldest girls’ hair into neat pigtails. Thankfully, big sister Lan, who is 11, loves to help. 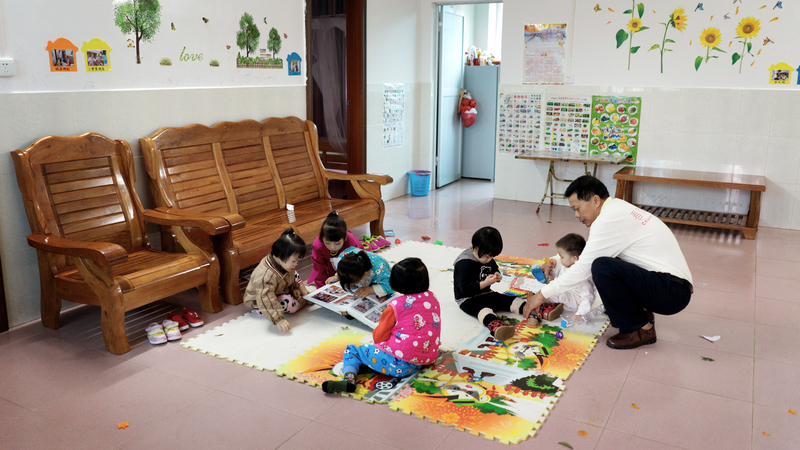 After breakfast, Huang Yasheng takes five children to their classrooms on the fifth and sixth floors of the orphanage and Zeng Lanjuan takes three children to theirs on the first floor. 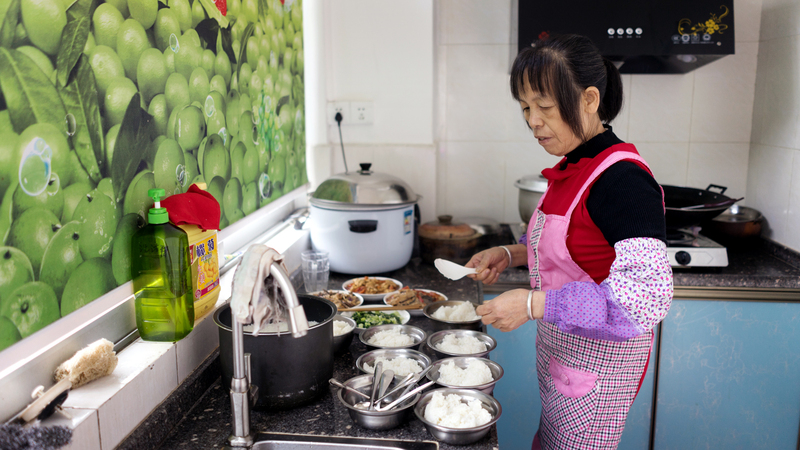 Back at the apartment, Huang Yasheng cleans while Zeng Lanjuan, who is an excellent cook, makes lunch. 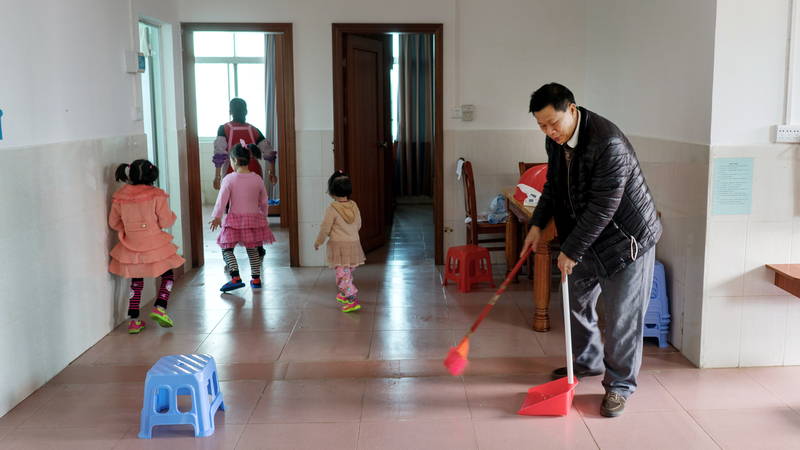 Huang Yasheng picks up all the children in the afternoon and the couple works together to make sure all eight children have their baths in the evening. Evenings are also the time for singing parties led by Zeng Lanjuan, who has “kid at heart” qualities of her own. Because of her dancing and singing talents, she was admitted to an arts school after junior high thanks to singing and dancing talents, but her mother did not permit her to go. Nevertheless, she became the director of her village’s Cantonese opera troupe. At home, she unleashes her fervent passion for singing. To joy-filled music, the entire family sings in the morning and things gets livelier and livelier as the day goes by. The optimism is contagious. 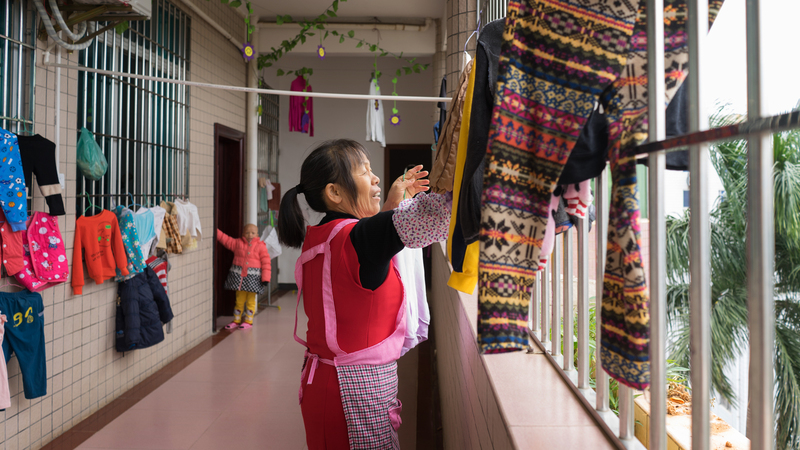 Though Zeng Lanjuan’s singing parties start with her family, they frequently spread to the neighbors, who can’t resist joining in. Huang Yasheng says his wife’s musical talent helped turn one of the children, their 4-year-old daughter Anyun, around. 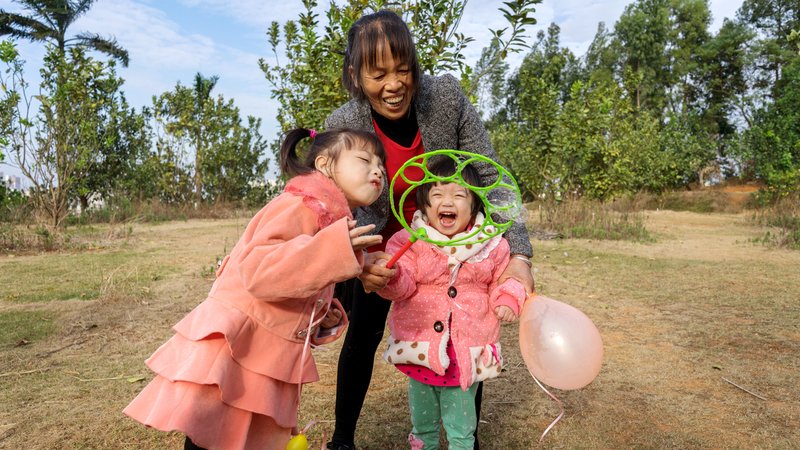 When Anyun first joined the family, she did not want to move or talk and slept all the time, but now she is more outgoing—she visits the neighbors, says hello and then blows them a lovely kiss. 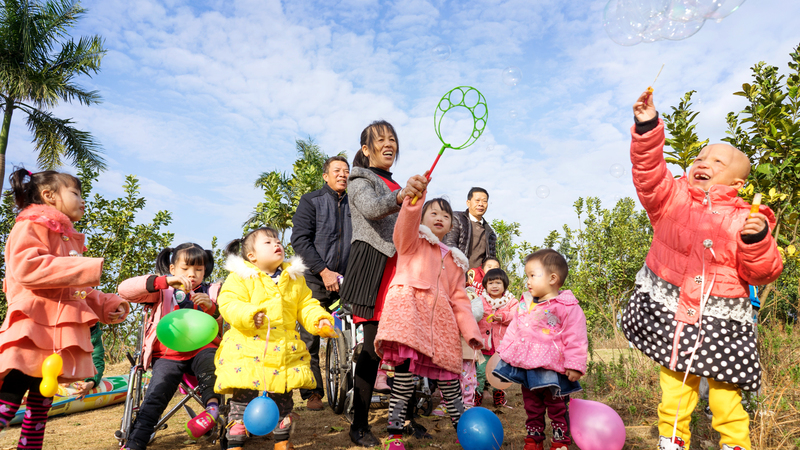 “What a big difference a family has made for Anyun!” says Huang Yasheng. 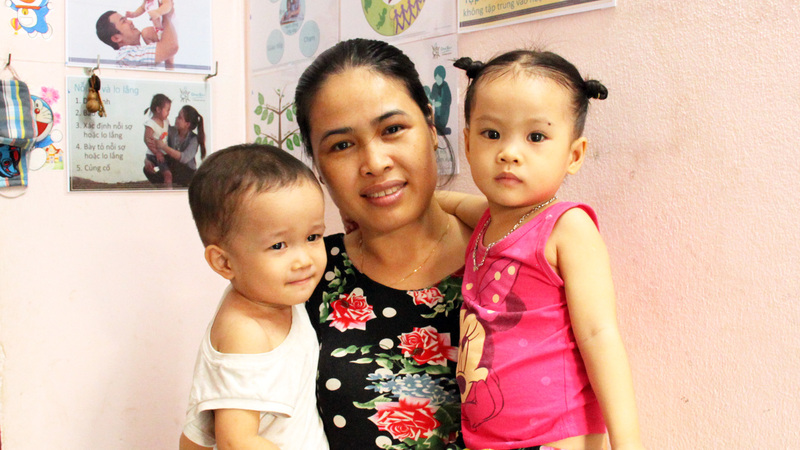 Zeng Lanjuan is equally expansive praising her husband, who is much more involved in raising their foster children than he was raising their biological children because he had to work outside of the home and leave the village to find work in big cities. She singles out his special bond with Jiajia. “In his eyes, she is an infant who warrants more careful attention. Sometimes he even hoards snacks for her,” laughs Zeng Lanjuan.